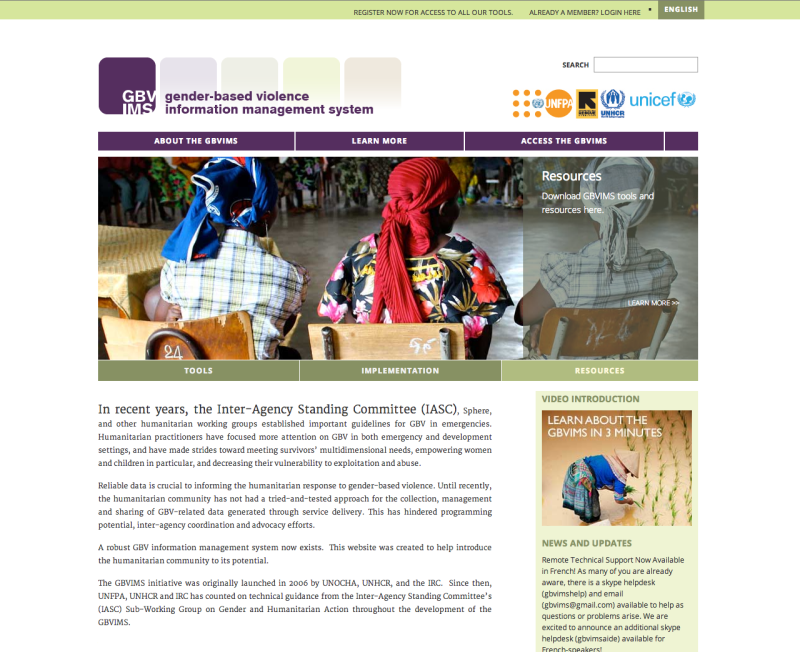 The Gender-Based Management Information System, or GBVIMS, is a non-governmental agency that works with many humanitarian groups across the globe. Their mission is to standardize the collection and processing of data related to incidents of gender-based violence in many cultural and ethnic groups. The goal for the project was to create a site that could balance the severity of this project without compromising it’s seriousness, and projecting respect for the women who are victims of violence. We used a soft color palette, open white space, and humanistic font scheme to balance an otherwise text-heavy site.